Centa Transmissions Ltd specialise in the design and manufacture of flexible couplings for mechanical power transmissions. As well as offering a range of standard CENTAFLEX couplings, we solve your unique drive problems by providing bespoke engineered solutions that integrate couplings, gearboxes, industrial brakes and other specialist drive products. Working with you from concept through to completion, Centa ensures your entire driveline system is sound, reliable and problem-free. There are currently around 10 million Centa couplings in service worldwide, with a further half million added every year. Our products operate in some of the most demanding industrial conditions, which makes quality and reliability all the more important. All standard CENTAFLEX and bespoke couplings for power transmissions are manufactured under an ISO9001:2008 accredited quality management system and are designed to meet international classification standards. Industries with which we work most closely include automation, construction, renewable energy, mining, military vehicles and equipment, processing, telecommunication, transport and utilities. 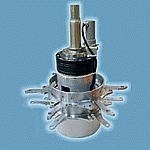 We also offer marine drives for boats and ships of all types and sizes. Some of our transmission solutions are detailed in the sections below. However, only by visiting Centa Transmissions online can you discover our complete range of couplings. There you will also be able to download our coupling brochures. If you have a bespoke requirement and would like to speak to a member of our design team, please contact us directly on 01274 531034. Introducing our brand new range of electromagnetic PTO clutches, designed for all types of marine drive and suitable for a range of applications. These systems can be configured to suit any driven plant – their modular design allows them to be used to control propulsion drives and remote mounted applications. They are available in free-standing or engine-mounted versions, both of which are easy to install and operate. 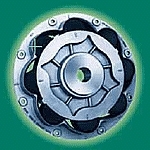 Electromagnetic PTO clutches from Centa integrate into systems much more easily than normal clutches. Find out more by visiting Centa Transmissions online. The CENTAFLEX range of flexible couplings includes more than 20 standard models plus many more special versions. They are designed to handle virtually any flexible coupling application over a torque range of 10 Nm - 1,000,000 Nm. CENTAFLEX couplings incorporate flexible elements with varying degrees of torsional stiffness – these may have linear or progressive characteristics. This, together with misalignment capacity, allows most deflection and torsional stress conditions to be accommodated. 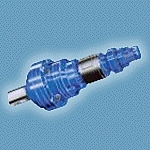 The unique design of the CENTAFLEX coupling, which uses machined hubs and flanges, allows special requirements to be catered for without difficulty. Units are available for standard or customer-specified diesel engine flywheel or power take-off mountings, electric or hydraulic motors and other shaft-to-shaft connections. All models are approved by most classification societies. For more information, please visit Centa Transmissions online. 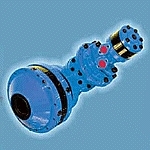 CENTAFLEX A-Series – a highly versatile, flexible and backlash-free coupling. CENTAFLEX B-Series – an economical flexible shaft coupling that’s adaptable to suit specific applications. 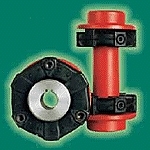 CENTAFLEX C-Series – a standard plug-in spider coupling for electric motor/hydraulic pump mounting. CENTAFLEX D-Series – a simple, robust plug-in coupling with flange connections for standard and non-standard flywheels. 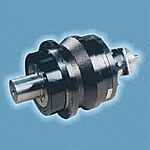 CENTAFLEX E-Series – a simple and robust coupling available with large hub bores and in various hub lengths. To discuss a bespoke project with one of our power transmission experts, please call us on 01274 531034. Centa can offer several coupling options for small boats. These are designed to eliminate all shaft transmitted noise and vibration in marine engines, whilst also reducing torsional stress and shockloads created by shaft misalignment and engine movement. 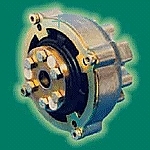 CENTAFLEX M-Series – a very small and compact flexible coupling designed for highly confined spaces. CENTAFLEX AM-Series – a torsionally elastic, backlash-free flexible coupling for all types of pleasure boats and small vessels. CENTAFLEX AGM-Series – as above, but with higher nominal torque. CENTAFLEX RS-Series – a simple but robust roller coupling with a progressive torsional capability. CENTAFLEX DS-Series – the worldwide market leader for dual stage couplings between diesel engines and flanged marine gear. CENTAX CX-N Series – a marine propulsion coupling for remote gearboxes. CENTADISC C-Series – a very strong yet flexible coupling that integrates with the carbon fibre composite shaft for long and strong drive solutions. For the full range, please visit Centa Transmissions online. CENTAX-SEC GFS1/2 Series 300 – a standard main propulsion coupling with high torsional and radial elasticity, plus moderate angular elasticity. CENTAX-SEC LFS Series – ideal for flex mounted engines; combines high torsional/radial elasticity with moderate angular elasticity. CENTALINK Lightweight Driveshaft – a torsionally stiff coupling ideal for high misalignment applications. Available in steel or carbon fibre composite sections. CENTADISC Lightweight Driveshaft – a reliable, high performance coupling for all types of marine applications. CENTA Lightweight Carbon Fibre Driveshaft – designed for long spans with little or no bearing support. Centa specialise in the supply of engineered precision positioning and power transmission drive solutions for industrial, precision automation and processing drive applications. We take into account all application requirements – including torque, inertia, speed, ratio, duty times, shock and peak loading conditions, dimensional limitations and backlash constraints – in order to determine the most suitable drive solution for the task in hand. We have a number of fully integrated drive packages based on standard Centa gear modules together with motors (hydraulic, pneumatic or electric), shaft couplings and ancillary items such as clutches, brakes, torque limiters, interlock and sensing switches. 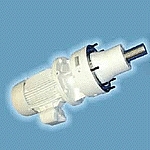 These are supplied as complete drive assemblies which are fully tested and ready for installation. Types of gears available for drive packages are listed below. 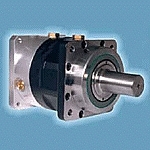 Industrial planetary gearboxes are available in both coaxial and right-angled configurations. 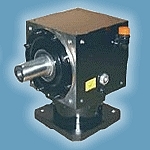 Planetary system gearboxes are particularly suited to high torque, low speed applications. Find out more by visiting Centa Transmissions online. Cycloidal speed reducers are highly efficient coaxial units which, size for size, transmit higher output torques than equivalent helical or worm gear units. This makes them an ideal alternative when space is limited and/or costs are more restricted. These units combine the balanced torque reaction forces of precision planetary gears and their servomotor inputs with the high torsional stiffness, high torque and high overload capacity of a backlash-free cycloidal speed reducer unit. To find out more, please visit Centa Transmissions online or get in touch on 01274 531034. 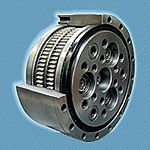 Planetary gearheads are supplied as self-contained gearboxes with primary input shafts. These servogear units are ideal for highly dynamic, high accuracy positioning drive applications. Find out more by visiting Centa Transmissions online. In situations where a standard unit is unable perform the required function, Centa will modify or re-engineer one of its products to meet the specific demands of your application. We have many years experience developing custom gear units and can offer solutions to meet most requirements. To discuss a custom gear project with one of our engineers, please call us on 01274 531034. Combining the high torque and low speed characteristics of a planetary gear output with the high speed and high reduction ratio characteristics of a cycloidal drive, these economical multigear combination units are ideal for a variety of high torque, low power, low speed drive applications. Spiral bevel gearboxes from Centa are available in 12 different sizes, each of which uses a standardised cube that allows the external dimensions to remain the same irrespective of the reduction ratio. Universal mounting on any of the cube’s six faces is permissible, with the option of mounting feet. Find out more by visiting Centa Transmissions online. Centa Transmissions is currently working with various scientific, marine, manufacturing and university partners across the UK and throughout Europe to produce transmission systems that help generate electricity from renewable energy sources. This includes gears, gearboxes, electromagnetic clutches and specially designed Centa Freewheels used in wave technology, as well as various gears, shafts and brakes used in wind turbines. We have also worked with various suppliers to devise independent hybrid drives that allow buses to switch from diesel engines to electric, non-polluting motors when entering a city centre environment. Our engineered solutions are what makes Centa one of the world’s leading transmission specialists. Over the years, our designers have worked on all kinds of projects and provided innovative solutions to many drive problems. Centa have experience in almost all areas of power transmission, and so can offer bespoke solutions to meet all requirements. In the past we have manufactured custom drives for the transport sector, the construction industry, for renewable energy firms and even for defence applications – these are all markets that require reliable, high performance drive solutions. To discuss a project with one of our designers, please call us on 01274 531034. Centa can offer technical support and backup across its entire range of transmission products, whether standard or bespoke. Not only will we help you specify the right system for the task in hand, we’ll also provide advice and guidance on installation and operation. We can also assist with maintenance and supply replacement parts throughout Europe and in most countries worldwide. If you've any questions about Centa Transmissions Ltd products or services feel free to ask them here.